Accordant to the fowls’ song aloft. 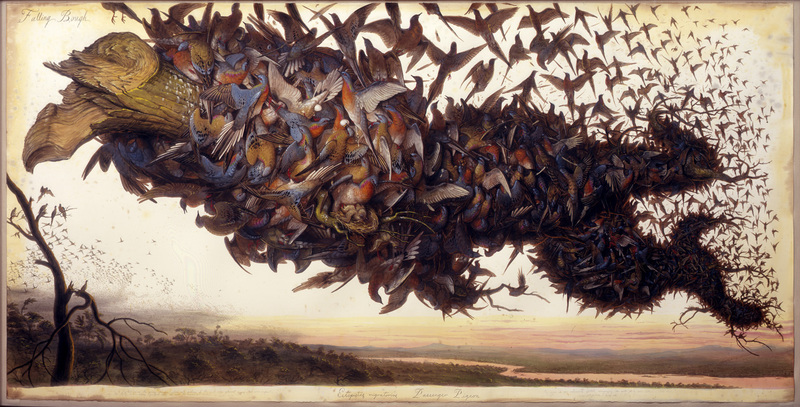 It seems unlikely that the song is “soft” owing to the paucity of song birds depicted below. What a racket. And what a mess they will leave behind. 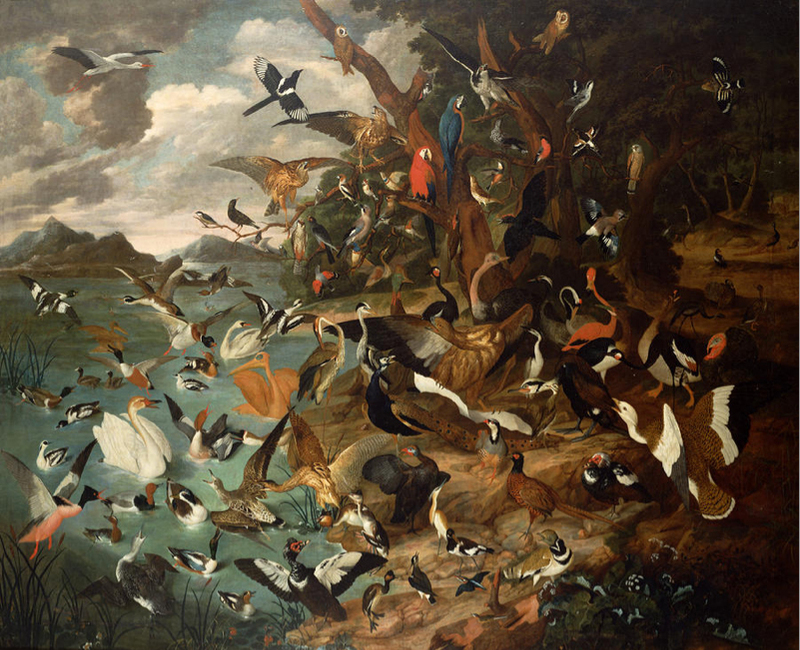 The Parliament of Birds by Carl Wilhelm de Hamilton (1668-1754). I love that one, Ned. Though I’m now going to be rather melancholy the rest of the day. Extinct birds do that to me. Yeah, me too, but there’s also something funny to me about Ford’s depiction of what we once viewed as innumerable but is now extinct.